Volcanos, Earthquakes, Floods and Tornados. Join us Monday at 10am Pacific for an in-depth conversation about what's happening in current time as our Earth changes. Returning guest Robert Boggs speaks with Winifred about the shifts that are taking place and where what may be affecting these changes. Tune in to find out what is happening under us and around us! Are you prepared? 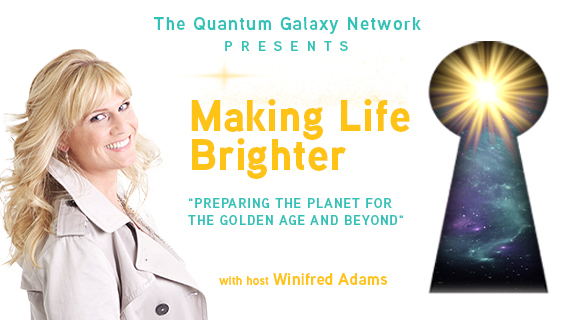 www.makinglifebrighter.com/radio FB: Making Life Brighter Twitter: MLBRADIO "Your Choice In Conscious Entertainment" Making Life Brighter is uplifting, educational and inspiring radio programming. Robert Boggs spent his life very aware of consciousness only to have that challenged three times when he was hit by lightening, died and then came back to life. He is healthy, clear and strong today and will share his remarkable story. A forward thinker, Robert was one of the first to see the benefit of ozone for our food sources only to find that someone else didn't like that idea and shut him down. Robert's light-hearted approach to life is a joy and a blessing for all those he encounters!